Today, the availability of bright and highly coherent electron sources and sensitive detectors has radically changed the type and quality of the information which can be obtained by transmission electron microscopy (TEM). TEMs are now present in large numbers not only in academia, but also in industrial research centers and fabs. 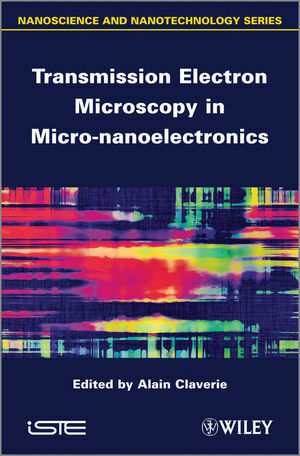 This book presents in a simple and practical way the new quantitative techniques based on TEM which have recently been invented or developed to address most of the main challenging issues scientists and process engineers have to face to develop or optimize semiconductor layers and devices. Several of these techniques are based on electron holography; others take advantage of the possibility of focusing intense beams within nanoprobes. Strain measurements and mappings, dopant activation and segregation, interfacial reactions at the nanoscale, defect identification and specimen preparation by FIB are among the topics presented in this book. After a brief presentation of the underlying theory, each technique is illustrated through examples from the lab or fab. Alain Claverie is Directeur of CEMES/CNRS, Toulouse, France. Nikolay CHERKASHIN and Alain CLAVERIE.